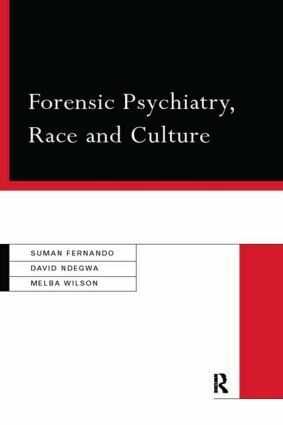 Forensic psychiatry is the discipline which distinguishes the 'mad' from the 'bad', but are its values inherently racist? Why are individuals from non-Western backgrounds over-represented statistically in those diagnosed with schizophrenia and other serious illnesses? The authors argue that the values on which psychiatry is based are firmly rooted in ethnocentric Western culture, with profound implications for individual diagnosis and systems of care. Through detailed exploration of the history of psychiatry, current clinical issues and present public policy, this powerful book traces the growth of a system in which non-conformity to the prevailing cultural norms risks alienation and diagnosis of mental disorder.